....Whether you are coming to the seashore to live or to rent, Hampton Beach will change you. Beach life is different, it's easier. Let us be your guides to the area and show you there's another side to Hampton Beach.... The Oceanside. Here at Oceanside Real Estate we have a tremendous appreciation for our Seacoast Area and we would like to help you find a place to enjoy for generations to come. People have always come to this area because of its natural beauty. They come to Oceanside Real Estate because they understand "There is a Difference." Our agency has been in business in the same location for over 50 years (36+ years under the same ownership). 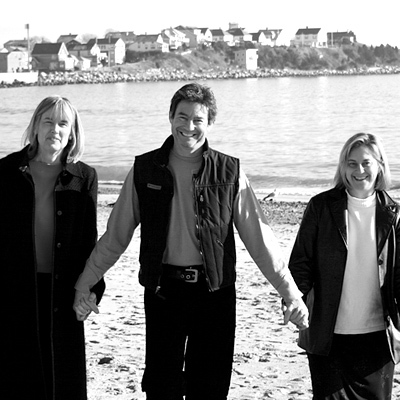 We are a family-run business and have all lived and worked in Hampton Beach for many years. Duane (Skip) Windemiller, the agency’s owner and principal broker, has been personally involved for many years with the promotion & development of the Hampton Beach area. He can answer almost any question you may have about its history or future development plans. This knowledge & background gives our agency an edge in assisting you in buying or selling both residential & commercial properties. "Skip Windemiller was great to work with throughout the entire process of finding and purchasing my land. He was also very helpful and patient during the lengthy permitting process I went through. He is extremely responsive and has intimate knowledge of the Hampton Beach area. Whether you are buying or selling, I would highly recommend Skip and Oceanside Real Estate."